UPDATE: Several news organizations are reporting on Twitter that Nihad Abdullah Ibrahim has turned himself in to police. According to the Calgary Herald, Ibrahim surrendered at the District 5 office just after 9 a.m. this morning. Canada-wide warrants have been issued for a Calgary man accused of having shot his wife three times as she ran. The accused is wanted for, among other offences, attempted murder after allegedly shooting his common-law wife in her front lawn early Monday morning, CTV Calgary reports. The 58-year-old victim suffered gunshot wounds to her abdomen and legs, and was taken to hospital in stable condition, the CTV report states. Police believe the victim was running from the home when she was shot on her Martindale home lawn, the Calgary Sun reports. Police told the Sun the suspect had previously been charged in connection to a domestic incident and had been ordered to have no contact with the alleged victim but was still allegedly caught entering the woman’s home on Aug. 12. CBC reports the Calgary Police Service will review how they handled the domestic incident, which eventually escalated into the brazen shooting. "Our domestic conflict unit reviews each one of the cases and makes sure that the intervention has been appropriate," said Duty Insp. Jim Leung told the CBC. 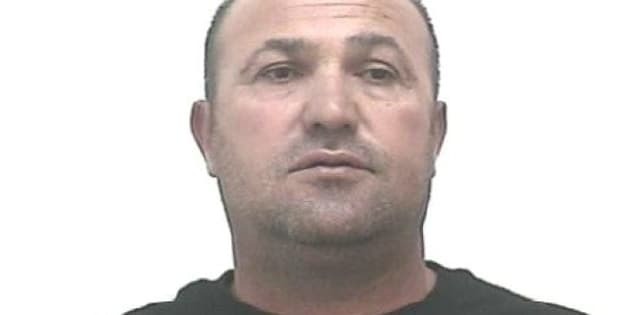 Nihad Abdullah Ibrahim, 52, of Calgary, is wanted for attempted murder, aggravated assault, discharging a firearm with intent, point a firearm, assault with a weapon, break and enter, possession of a weapon for a dangerous purpose and five counts of failing to comply. He is described as 5 ft. 9 in tall, 180 pounds with a medium build. He has brown hair and brown eyes. Anyone with information Ibrahim’s whereabouts is asked to call 911 immediately. Anonymous callers are asked to contact Crime Stoppers at 1-800-222-8477 or text tttTIPS to 274637.